I FINALLY have photos to show you! 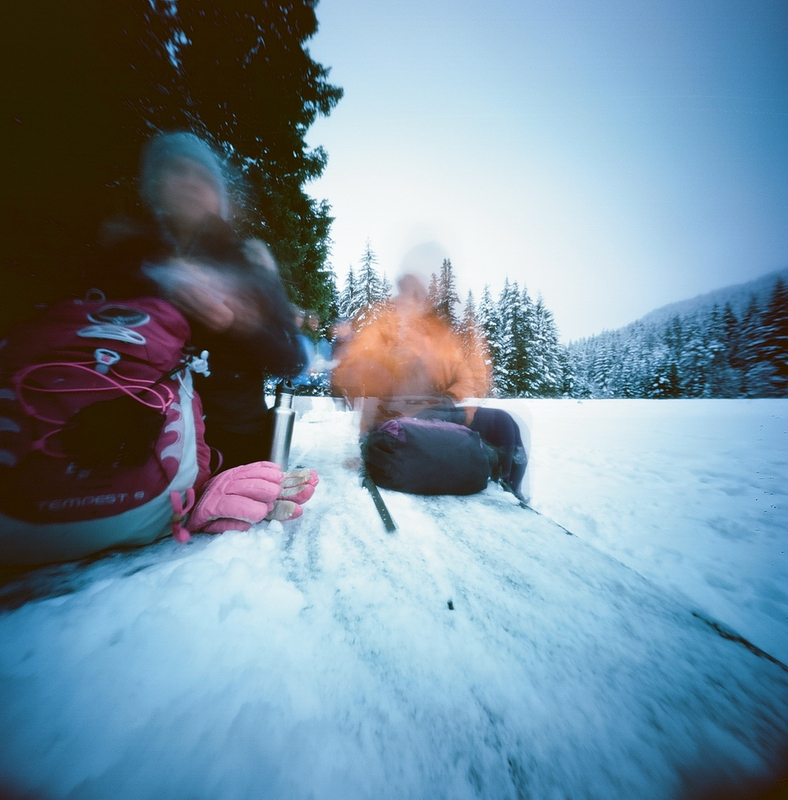 These are some pinhole photos I took in January up on Mt Hood on a hike around Trillium Lake with some friends. The hike was meant to be a full moon hike but the clouds didn’t clear so we didn’t see the moon. But the sun set about halfway through our hike and it ended up being really fun hiking in the dark. I didn’t shoot any pinhole in the dark, for obvious reasons! These were both shot with a Reality So Subtle 6×6 and Ektar Film The exposure times for both were around 2 minutes or so. For developing, I did something different. I sent them off to The Darkroom for developing AND scanning. It was nice to not have to scan these and I didn’t have to do any post processing at all, apart from cropping out the vignette. The only downside is that I got the lowest quality scan and they are not very big files so if I ever want to print them I will have to re-scan them. OH! And I can’t believe I didn’t blog about this! I was interviewed on a new podcast about pinhole photography: The Lensless podcast, a few weeks ago. You can listen here.